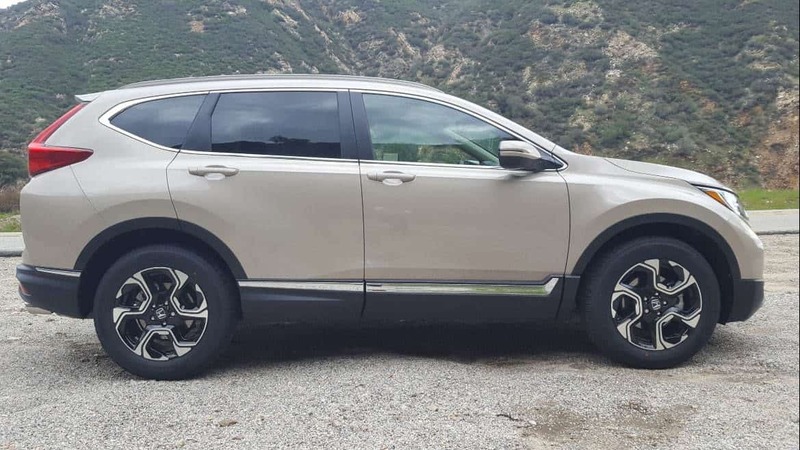 The 2019 Honda CR-V carries over its top-selling performance across the United States and especially right here in Southern California. 2) Space – very roomy. 3) Ride – smooth & sporty. You can listen to our complete podcast report by clicking play below or continue reading and check out the pictures from our review. The Honda CR-V is currently one of the top 10 selling vehicles in the US. That makes it a sparkling gem in the crown of Honda’s recently added-to lineup of Crossover SUVs. The compact crossover segment has been hot in the automotive industry lately. And that helps support the large numbers of CR-Vs sold for Honda. Another big driver of those sales is high volume dealers, keeping buyers happy Honda-after-Honda, like Rock Honda in the Los Angeles suburb of Fontana, CA. 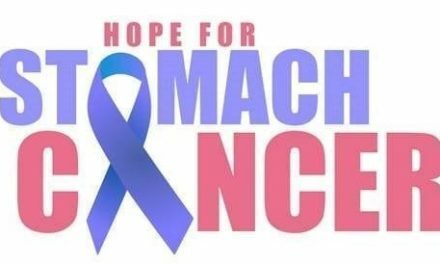 As we always point out. Don’t worry about MSRP because you need to get your Honda equipped to your specifications. Sleek & sporty Honda CR-V driver’s profile. 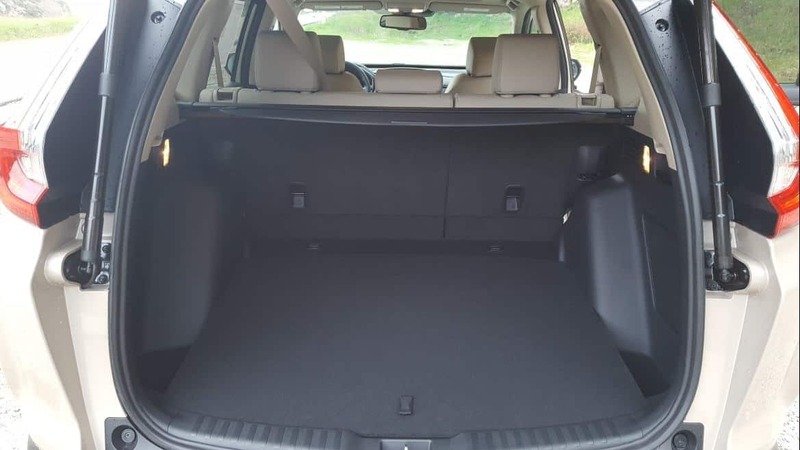 A couple of extras we’d suggest adding would be the Honda CR-V branded rear seat covers and the cargo tray. iDSC @ Rock Honda – always a great time! The other ‘must have’ add-on we suggest is the cargo tray. Whether its spilled groceries or messy trips to Home Depot – your cargo area needs protection. Regardless of extras, connect with our friends at Rock Honda in Fontana for the best deal. The 2019 Honda CR-V LX comes with an inline 4-cylinder putting out 184-horsepower and 180 lb-ft of torque. The EX, EX-L, and Touring also come with an inline 4-cylinder but theirs is turbocharged and puts out 190-horsepower and 179 lb-ft of torque. Powerful stance, forward from the rear. All trim levels come with standard front-wheel drive. 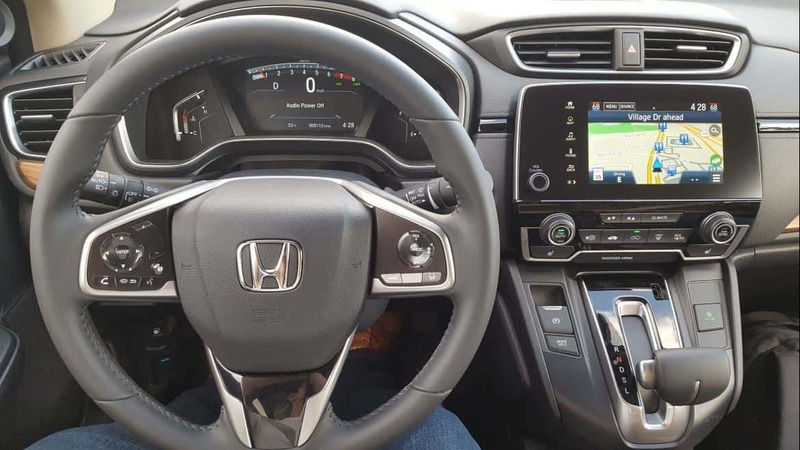 But also, across all trim levels, you have the option to add Honda’s Real Time All-Wheel Drive with Intelligent Control System. Your fuel economy will depend on your trim, engine and transmission configuration. The 2019 Honda CR-V will deliver a range of 25-miles-per-gallon in the city and up to 34-mpg on the highway. The 2019 Honda CRV is a continuation and not a refresh. It measures about 181 inches in length, so it’s pretty much right there in the compact segment- right where all the other compact vehicles are in this particular segment. 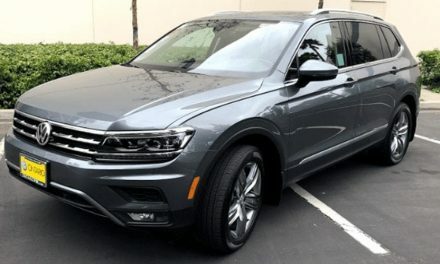 This car is no doubt a Honda CR-V, but it looks like it’s been hitting the gym. It’s beefed up with a long, wide stance and some aggressive wheel designs. Ground clearance is 7.8 inches for front-wheel-drive (FWD) models and 8.2 inches for all-wheel drive (AWD). Good to go ground clearance. This is a great design if you’re an owner who contends with snow other rough weather. It brings forth a really clean, modern contemporary look. But, it’s still mistakenly a Honda. A great looking vehicle in terms of the exterior design. The color we test drove was subtle but classy. 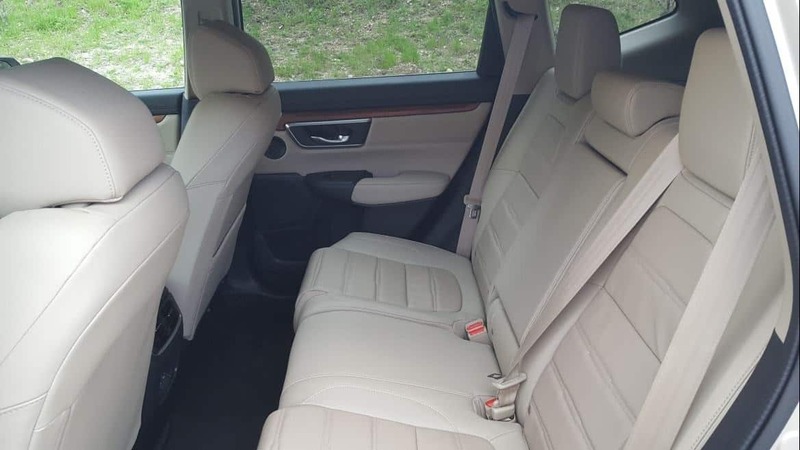 The CR-V has a very spacious interior. This was one of our favorite features of the CR-V. Undoubtedly the Honda CR-Vs space is another reason for its extreme popularity. The CR-V provides plenty of room inside for both people and all the stuff we carry around. Even though it is a compact crossover, it’s got plenty of legroom up front and in the back. 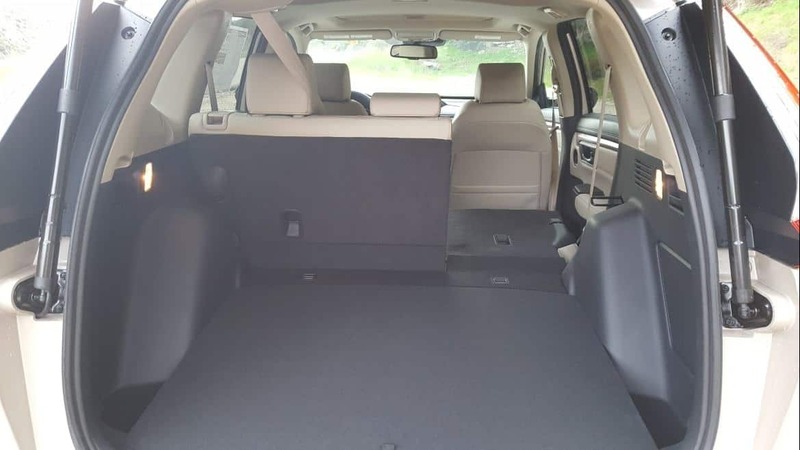 The 2019 Honda CR-V can carry four adults very comfortably, even five for a short trip. 39.2 cubic feet of cargo space w/ back seats up. And even with five adults in the CR-V you still have 39.2 cubic feet of cargo space. Break that down to carrying only two adults and, fold the back seats down, for a hefty 75.8 cu-ft of cargo space! 75.8 cu-ft of cargo space with back seats down. 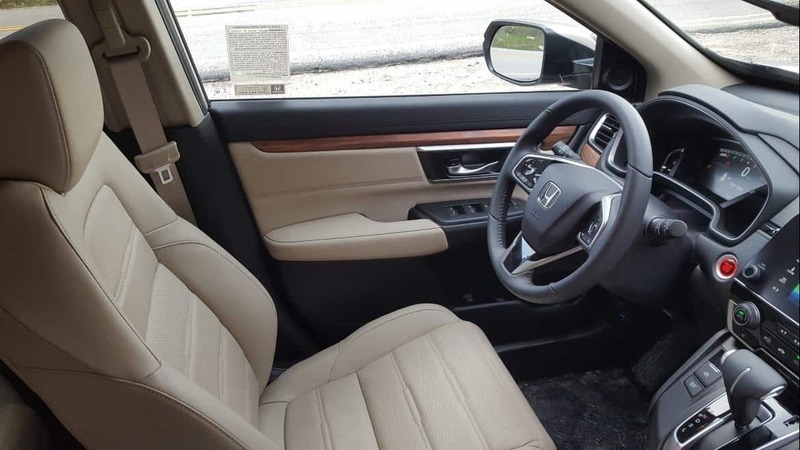 Whether your seats are up or down, the Honda CR-V offers plenty of smart and convenient storage areas to hide the little things thieves tend to look for. Remote engine start comes standard on the EX, EX-L, and Touring – all trims except the LX. But even the LX, every CR-V, comes with LED daytime running lights. That’s a safety feature that also happens to look great too! A minor detail that we truly appreciate in Honda vehicles is their Speed-Sensitive Volume Control. It is, and functions, just as you’d imagine. And it’s been on Honda vehicles, seemingly forever. But we love its convenient simplicity. 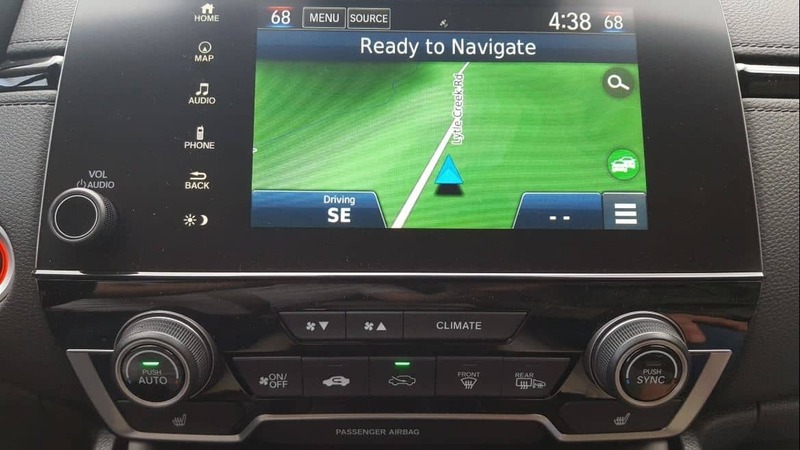 2019 Honda CR-V center stack. As always, Rock Honda put us in a top of the line Touring trimmed CR-V so it had all the whistles and bells. Of course, there was Apple CarPlay and Android Auto. But also included was the Honda Sensing Driver Assist technology. 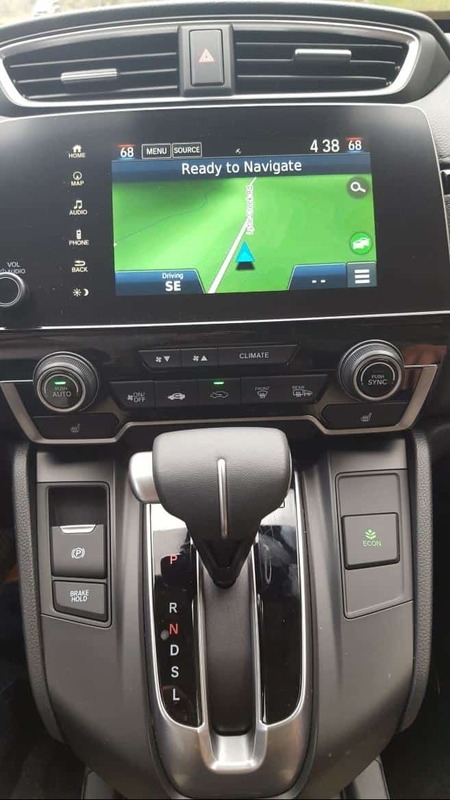 That includes Collision Mitigation Braking, Road Departure Mitigation, Adaptive Cruise Control, Lane Keeping Assist and Blind Spot Information System. And all of that plus a very solidly engineered vehicle helped to make the 2019 Honda CR-V a 2019 Top Safety Pick from The Insurance Institue for Highway Safety. Professor Quan’s test drive included the highways and rural roads with a bit of stop-and-go. And the 2019 Honda CR-V was responsive and smooth throughout. The turbocharged inline 4-cylinder delivered plenty of power with strong acceleration and composed handling. As the utility, in SUV (sport utility vehicle) suggests, the 2019 Honda CR-V is fit to serve many purposes. If you’re driving needs are family oriented then the CR-V has you covered. If you’re a single guy or gal who wants stylish space, then check-check again, CR-V is a great option. Class and style meets fun and sporty. Engine: The Touring CR-V we drove comes with that peppy, powerful 1.5-liter turbocharged inline 4-cylinder engine putting out 190-horsepower and 179-pound-feet of torque. Ride: This car really is a triple threat. It brings forth a host of high-tech equipment, impressive fuel economy, yet still powerful with and is still fun to drive! 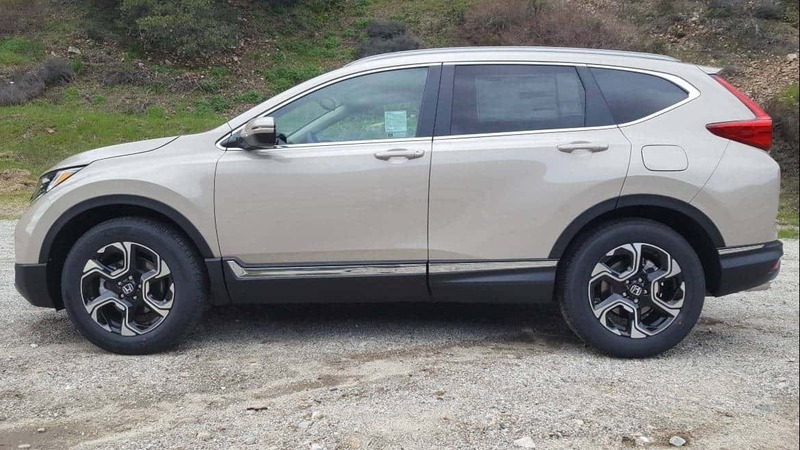 For your 2019 Honda CR-V see our friends at Rock Honda in the Los Angeles suburb of Fontana, CA. Or email me and I’ll personally connect you. 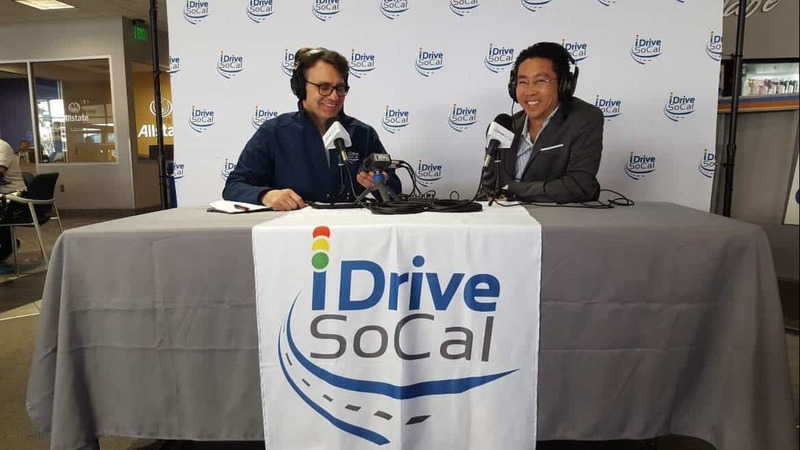 Tom [at] iDriveSoCal [dot] com.